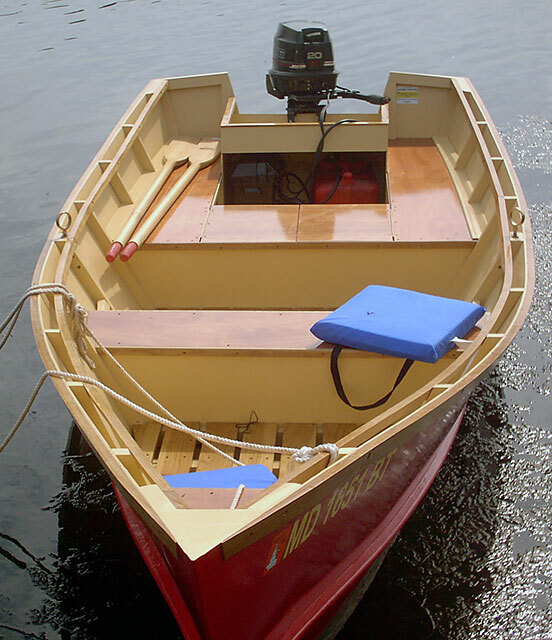 Rob Wybierala enjoyed building this San Juan Dory so much; he stopped going to work so he could finish it. 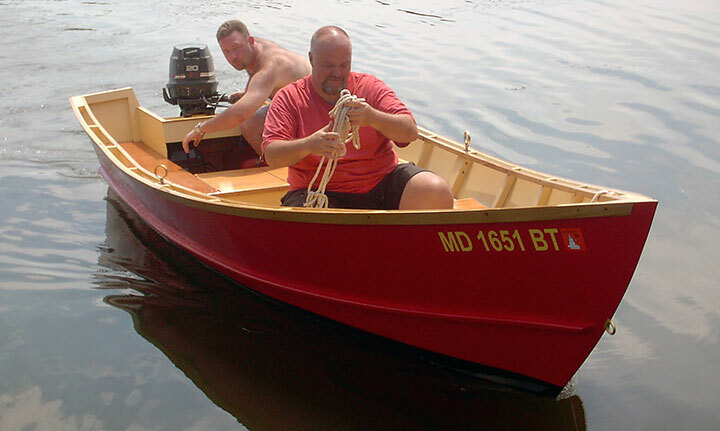 Now he owns a small boatbuilding company in Maryland. GRIFF'S LANDING is built of plywood with sawn frames. He plans to use her on Chesapeake Bay and the many rivers that feed into that great waterway.